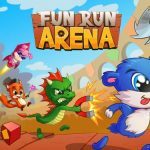 Fun Run: Multiplayer Race is a free-to-play game made by Dirtybit, available for Android and iOS. 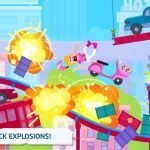 The game has more than 40 million players worldwide, a clear sign that it’s been a success in the mobile game world. This is a casual game that has you, as a forest creature, racing against other animals. As far as you as a human player go you can opt for single-player mode or race against other people, may they be friends or other players. But how do you win more consistently? 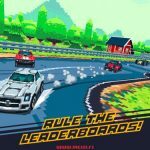 Check out the following Fun Run: Multiplayer Race cheats, tips and tricks and you’ll be finishing first by habit, rather than by luck. 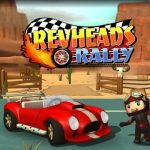 You’ll encounter boxes as you make your way through the races – inside these boxes are one of several different types of power-ups that can help you win races and take out your opponents. And that’s where the fun ends – at least for them. For example, saw blades will chop your opponents in half and lightning bolts shock them, but if you want something less graphic, there’s also a speed boost, as well as a shield that could keep you safe from danger for six seconds. It may sound cool to be able to use a power-up to slice your opponents into two, but bear in mind that they bounce off walls. If you, by accident, run into a pit and fall inside, simply hit on jump repeatedly and you’ll be out of there in almost no time – emphasis on almost. Of course, it wouldn’t be much “fun” in Fun Run if there weren’t any challenges apart from your opponents. That means you have to watch out for objects that may appear at random and block your path. Want to have an idea of how far ahead you are, or how much ground you need to make up if you’re behind? Check the bottom of the screen as that’s going to show you positions of each racer. Just like it is in a car racing game, this could be very important and a great way to know how to proceed next in the game. Again, this is another parallel with other types of racing games. If a track is just too confusing for you, then keep playing it until you know how to fully deal with the opposition, meaning knowing their tendencies, their strengths, and their weaknesses. When you play in multiplayer mode, you may be up against some very experienced, very skilled human players. To craft your skills properly and give yourself a good edge against human competition, practice regularly against Fun Run’s artificial intelligence – you’ll be getting good practice, as the AI can be quite smart and skillful in this game.